Having a garage or carport provides a place to park vehicles and store items to protect them from the weather conditions. But a carport is open while a garage can be closed and locked. Consider the reasons to choose a Memphis garage over a carport. A carport is a protective vessel, usually attached to a home with a ceiling and possibly one or two walls. Carports are designed to keep your car out of the rain, snow and other weather elements as such as windshield frost. And they are designed to provide minimal protection. Thus, they are an open construction. How is a Garage Different? A garage is an enclosed space with four walls and a door that is also attached to your house. And it is designed to protect your car from the weather, elements, and theft. Garages offer a lot more variety than carports because they are larger, able to be locked and can give more protection from climate. They can serve as storage rooms or any other kind of alternative room because of their size and their privacy. Additionally, garages offer better insulation from weather and the elements. Also, because they are closed off spaces with new technology and added amenities, garages are more pricey than carports. Carports offer simplicity in the protection of your car and vehicles. You don’t have to worry about it getting rained on, or snowed out, or having fallen hail destroy your windshield And a carport is perfect for you if you’re looking to provide elementary safety to your car. With garages, you don’t have to worry about any of these issues, either. Also, you don’t have to think about anyone stealing your car because it is easier to access. You should look into seeing if your insurance company will offer you discounts and savings. Insurance companies like a car that is safely ensconced within the home hidden from the public and potential trouble. Having a garage door opener can add an extra layer of security. 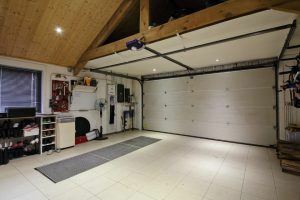 Garages also offer a benefit when it comes to energy efficiency. A well-insulated garage, plus the addition of the walls and doors can save you big on your energy bill. And your heating and cooling systems will be able to maintain an even temperature throughout your garage and house. Garages just offer the protection that carports cannot. Carports are a bare minimum protection of your car from the elements of weather. But they don’t stand a chance against extreme climate conditions like tornadoes, or damaging items blown from heavy winds. And they don’t protect against theft or home invasion. Garages are mostly huge, extra rooms in your house. And they keep your car or possessions safe behind walls, doors, locks, and security systems. There is technology that comes with garages that make them as secure as your front door in your house. You can lock your garage door, you can secure it with a code padlock, or you can have it only open with a remote controller. And just by appearance alone, thieves and criminals are less likely to violate your home because of the added barrier of the garage that a carport just can’t provide. Carports are out in the open, so they do have space. Also, you will be doing everything that you want outside with a cover over you. And as an extra space, you might as well do your activities under an umbrella. But garages are much like spacious rooms inside of your home. And there is the plenty of room to do other things. And some people like to use their garage as a storage space. Extra furniture, old projects, the artwork you can’t find a wall for; the garage is ideal for housing them all and more. The garage makes a perfect place that keeps them from water damage, heat damage and frost damage. Garages can also be used as extra activity rooms. You can turn it into a gym. Also, you can add an arts and crafts wing. Maybe you figured it was a good time to add a playroom for your children? You can do this and more, all the while having the privacy to do whatever you wish. With a carport, you would not be afforded this variety and creativity. And you would not be protected from the extreme weather of heat and cold. The possibilities of what you can do are endless. Carports are suitable for homes. And they can be right for your budget. You will never have to worry about rain damage, snow damage, or hail if you properly and safely store your vehicles under one. But, some of their drawbacks are that they offer less protection, less variety, and less value in the long run. Garages provide protection, as well as some different uses.